PRICED TO SELL!! FABULOUS LOCATION IN TREASURE ISLAND! 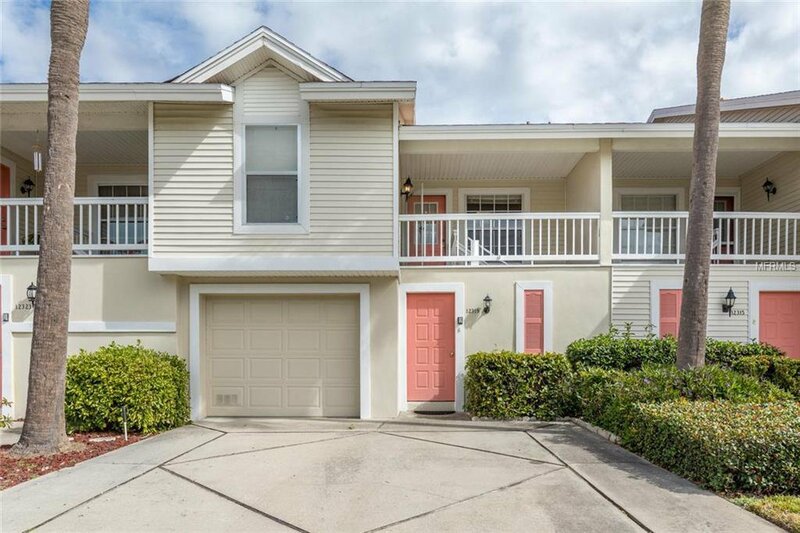 Skylights bring abundant natural light in this 2 bed/2 bath condo with OVERSIZED 2-3 car garage underneath. PARTIAL WATER VIEW FROM MASTER BEDROOM BALCONY! With outdoor enjoyable spaces on the screened back patio off the living room with New Anderson HURRICANE IMPACT SLIDING GLASS DOORS IN THE MASTER BEDROOM AND LIVING ROOM, a stone Patio area in the back, a NEW WASHER & DRYER on the main floor, 2014 SS APPLIANCES in kitchen, VAULTED CEILINGS in the living & dining area, neutral carpet, Newer Front Glass Door & Newer Paint this condo is sure to please! Sun Ketch II is a popular complex just several blocks to the white sands of Treasure Island Beach. Roselli Park is across the street with Tennis Courts, Playground, Baseball Field and Walking Path. PET-FRIENDLY COMMUNITY! OVERSIZED 2+ car GARAGE is great for extra storage, work space, bikes, toys and that ideal hobby you've been longing to dive back into. LIVE THE HEALTHY, SALT LIFESTYLE - close proximity to the beach, restaurants, shopping & beyond! Great RENTALS - MONTHLY $2400-$2700 Dec-April. FHA QUALIFIED! Listing courtesy of LUXURY & BEACH REALTY INC. Selling Office: RE/MAX METRO.